Renault Kadjar Boot Space, Size, Seats | What Car? 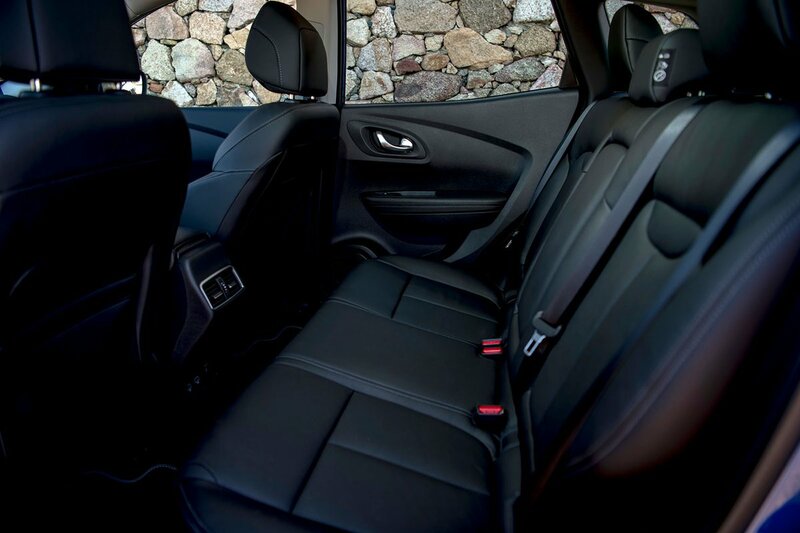 Even the tallest adults will be comfortable in the Kadjar’s front seats. There’s plenty of leg and head room, as well as a decent amount of elbow space between the driver and passenger. The glovebox is a good size and will hold a bottle of deicer and owner’s handbook, while the central cubby is also deep enough to store something like a portable sat-nav. The two fixed cupholders can each hold a large takeaway cup, although – being situated between the armrest and gearlever – they get in the way a bit. Two adults will be comfortable in the back of the Renault Kadjar, which is one of the best in its class for rear passenger space. The panoramic roof that’s standard on S Edition and GT Line models cuts into head room a little, but even passengers well over six-foot tall will be happy with the remaining space. The rear seat is wide enough for three adults, although the middle passenger has to accept a lack of floor space, due to its raised transmission tunnel. The Kadjar’s doors are tall and wide enough to allow you to easily access a child seat. With map pockets, small door cubbies and masses of space, the Kadjar is perfectly suited to family motoring. With rear seats that are split 60/40 and fold virtually flat, the Kadjar is par for the course by the standard of the family SUV class. However, there’s none of the sliding rear-seat versatility that you get with some alternatives, such as the Skoda Karoq and Citroen C3 Aircross. You do, though, get 'easy-folding' rear seats as standard on Iconic trim and above. This handy feature allows you to drop the rear seats simply by pulling a small lever in the boot. 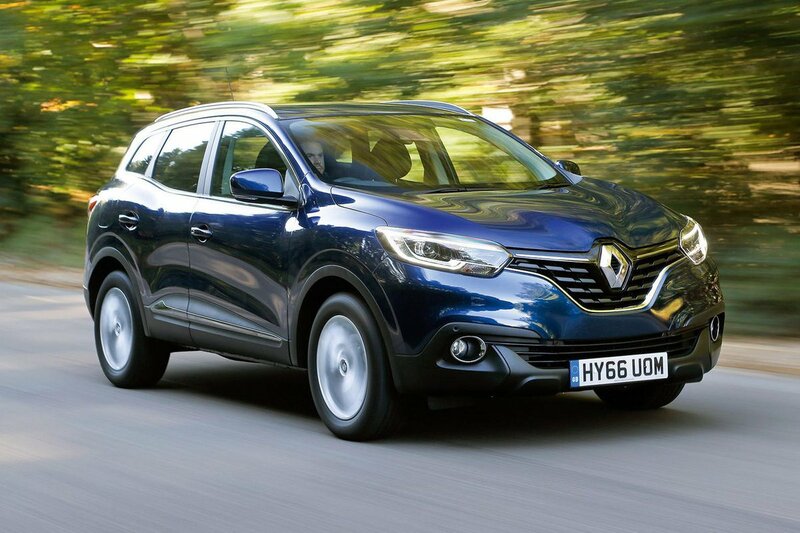 There are some big boots in the family SUV class, and the Kadjar's is well up to par. 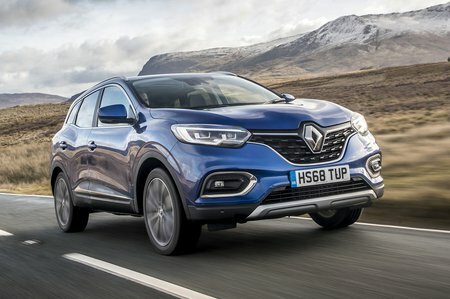 Using the VDA measuring technique shared by Renault and Nissan, the Kadjar's boot is a little bigger than that of the Qashqai. It's a good, useable shape, especially with the false boot floor that's standard on Iconic trim and above. With the rear seats folded and the false floor set to its highest position, you're left with a virtually flat extended load bay with no annoying steps or ridges. Alternatively, drop the floor to its lowest setting provides extra load bay height for bulky items.